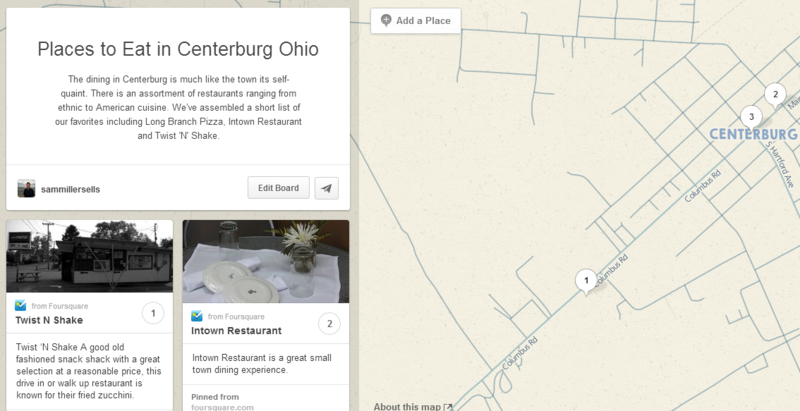 The dining in Centerburg is much like the town its self- quaint. There is an assortment of restaurants ranging from ethnic to American cuisine. We’ve assembled a short list of our favorites including Long Branch Pizza, Intown Restaurant and Twist 'N' Shake. Long Branch Pizza is a great family own pizza parlor in Centerburg, Ohio. Tasty food and a great enviornment combine to make it a fantastic place for family and friends. ‎Twist ‘N Shake A good old fashioned snack shack with a great selection at a reasonable price, this drive in or walk up restaurant is known for their fried zucchini. If you can’t find what you’re looking for in Centerburg, Mount Vernon is only a short drive away. Check our our Places Board on Pinterest.